Sprawling over an 8-mile wide and 13-mile long massif, Mt. Vinson stands as the highest peak in Antarctica just 750 miles from the South Pole. Of the Seven Summits, Vinson Massif was the last to be discovered, the last to be named, and the last to be climbed. The austral summer offers a unique experience as alpinists wake, climb, and sleep, all throughout 24 hours of daylight. In 1966 an expedition with climbers from the American Alpine Club and the National Science Foundation followed Nicholas Clinch to Vinson’s first summit. We will follow the standard route to the summit via the Branscomb Shoulder. Some sections can be steep and require the use of fixed ropes. Once we gain the upper glacier we will travel on gentler slopes before reaching the summit ridge. Due to the cold temperatures and frequent high winds, we will wait for good weather before attempting to summit. 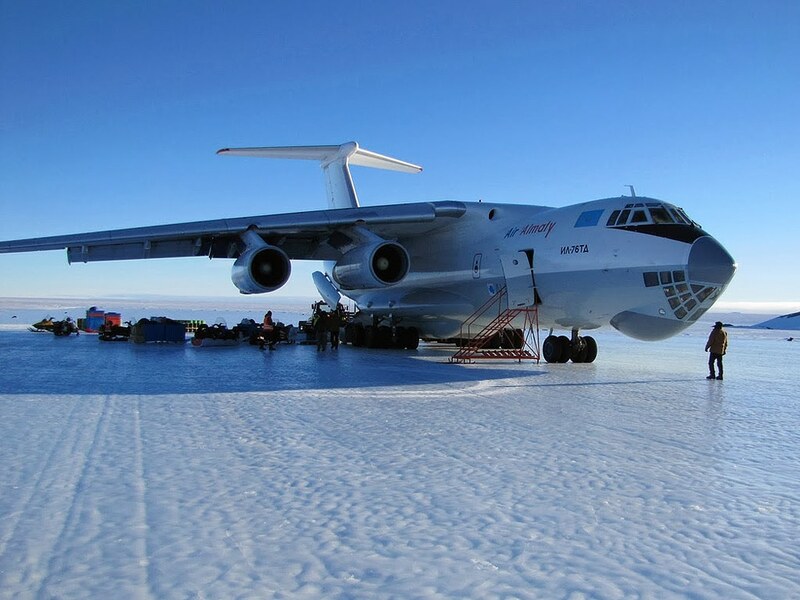 From the top of Antarctica, we will be able to see across the expansive continent. Arrive Presidente Carlos Ibanez del Campo International Airport, Punta Arenas (PUQ). We allot an extra day to recover from jet lag and wait for any baggage that may have been waylaid. $5,000.00 deposit includes reservation fee, due with application. Insulated Jacket: Heavyweight 700+ fill down. Heavyweight Gloves: Insulated glove with GORE-TEX© or waterproof outer. Mountaineering Boots: Full shank crampon compatible. 8000 meter mountaineering boots are required. Sleeping Bag: Bring a warm bag (rated to minus 40ᵒ fahrenheit). Backpack: One 70-100L pack with good support, adequate to carry personal, and group gear. The pack should fit properly, have a good waist belt, and be able to carry gear between 45-60 lbs. Duffle/zip Bag: One large size, transporting gear via sleds. Duffle/zip Bag: One medium size, store non-mountain gear during the expedition. Liner Bags: 2-4 Large plastic contractor bags. Alpine Harness: Lightweight alpine harness with adjustable leg loops. Locking Carabiners: (4) Large pear-shaped, screw gate locking carabiners. Non-locking Carabiners: (4) Wire gate non-locking carabiners. A valid passport is required for American citizens to enter Chile. American citizens do not need a visa for visits of up to 90 days for tourism. As the highest point on the continent of Antarctica, Mount Vinson experiences some of the coldest and windiest weather on the planet. Expedition self-care and experience is key to success on this peak. Be prepared to carry packs up to 50 lbs. while pulling sleds up to 100 lbs. Experience with fixed lines is ideal. Prior to the expedition we recommend taking at minimum a mountaineering course and climbing other high-altitude peaks. Here’s a suggested progression of climbs before attempting Mount Vinson. What is the skill level required for this climb? Though this peak is not as technical as some others, it is important that climbers have done trips in places like Alaska or similar big mountain areas. Experience roped on glacier is paramount. Technical skills like fixed line use are required. Also, be aware that due to the harsh, cold environment on the Antarctic continent, it is imperative that climbers have a high level of self-care and self-sufficient. What will my pack weight be? Be prepared to carry at least 55lbs, as well as pulling a sled on the lower glaciers. What if I arrive early or the trip ends early / or late? If you arrive early we are happy to book extra nights at the hotel. If the trip finishes earlier or later than expected be prepared by purchasing travel insurance or a flexible return ticket. If you plan on purchasing non-scheduled services bring between $750 – $1000 USD in cash. Remember, gratuities for guide and camp staff are not included. It is customary to tip guides 10% of the trip cost.